In a surprise move the Australian Labor Party has pledged to deliver 50 % renewable energy by 2030 – setting the scene for renewables and climate change to be a defining issue at the next Federal election. 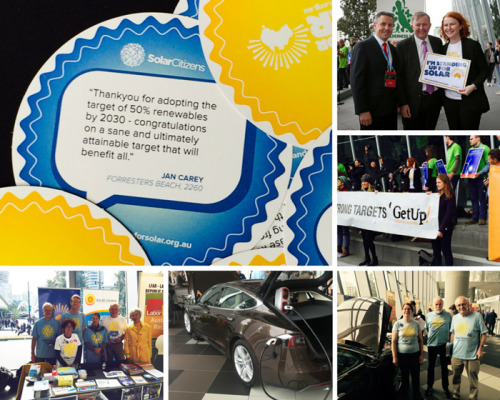 It’s another win for the do-gooders at Solar Citizens – the 70k strong Australian community of solar panel owners on a mission to help Australia move towards a renewable energy future. Solar Citizens has embedded a range Do Gooder actions into their NationBuilder site with excellent results – including delivering over 5,000 submissions to the Renewable Energy Target Review as well as sending thousands of emails across multiple campaigns advocating for a stronger stance on solar in NSW and around the country. Solar Citizens shows us what’s possible when citizens come together and amplify their voice.